First off, thanks to everyone who responded to my last post about color palettes! I was glad to hear from you all! Secondly, I must tell you that I have not been very focused on crafting this past week, because it’s finals time! While I don’t have any actual finals, my graduate classes have piled on the projects and papers, so I’ve been busy. Even so, I’ve got some bits of progress to share with you. 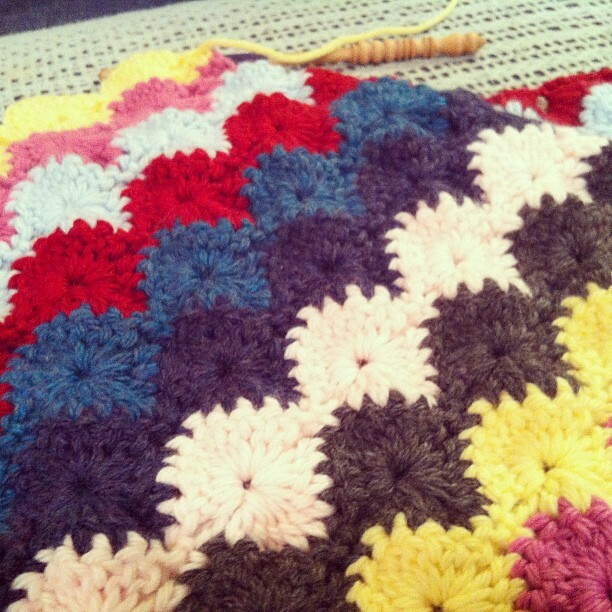 Firstly, my blanket (pattern here) is coming along. Like I said in a previous post, it is kind of tough on the hands, so I’ve been spacing it out. It was hard to get a good shot of the whole thing laid out so I just folded it and hoped you could still see how it’s progressed. 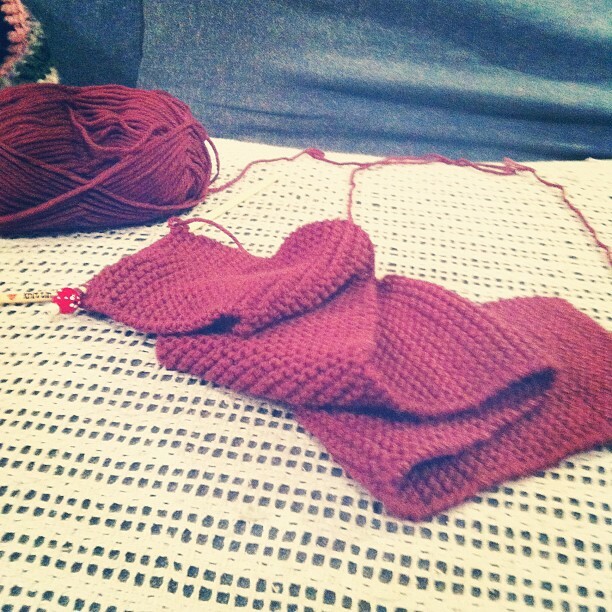 And secondly, I’ve been working on this scarf for what seems like ages already. It’s knitted, as you can see. So that’s all I’ve got for now! Hopefully I’ll see you soon with lots more progress! I have a couple of weeks off of school before I start summer school, so I’ll hopefully have some time to craft to my hearts content. I really like the pattern of your blanket. Might have to do one sometime. 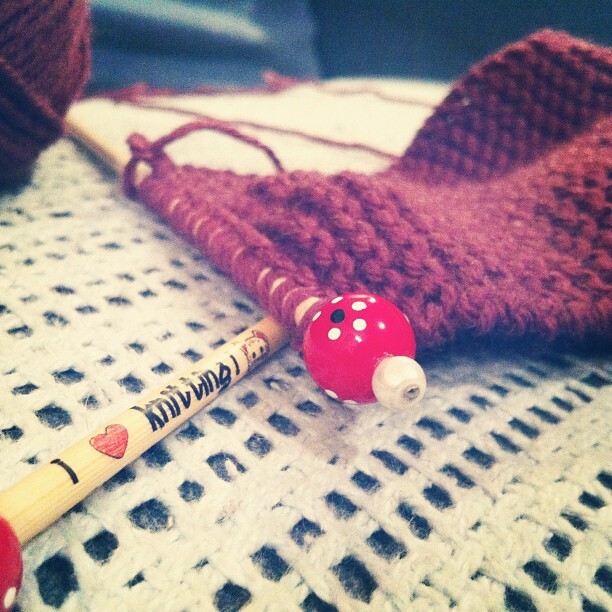 Love the knitting needles too. This has to be one of my favorite afghan patterns of all time. Great work! I love the blanket and the colors! 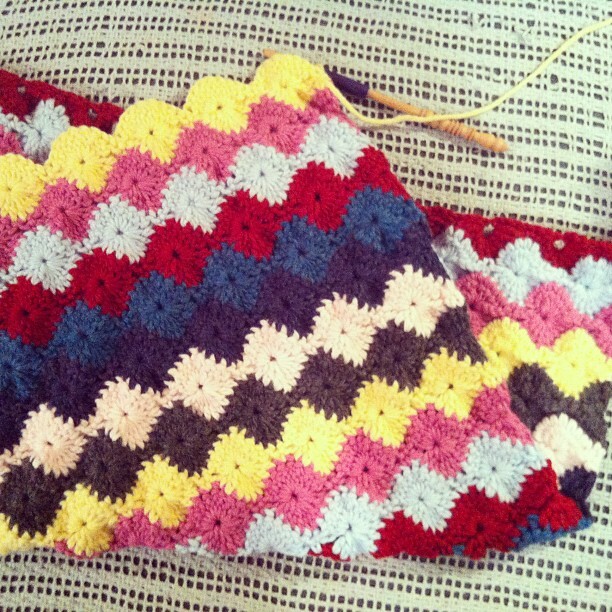 I started one with that pattern but didn’t like my color scheme and scrapped it. Someday I will revisit it.. Thank you so much! 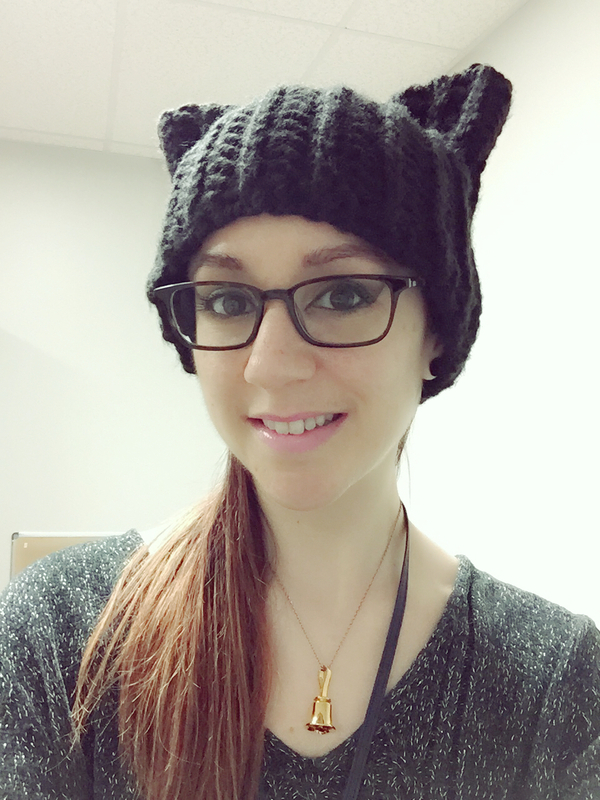 I’d love to see yours if you start it again! I love the blankets but the needles, they are soo cute!!! !